Described by Hasted as ‘a spacious and magnificent mansion,’ Bridge Place is an outstanding Jacobean property listed Grade II* which has been in the same ownership for many years. Currently used as a private country club, the house contains wonderful period detailing and retains a good deal of interesting features and as such, offers superb potential. Wood panelling and magnificent detail characterise the reception rooms which lie downstairs off the entrance hall – the inner hall has stairs down to the lower ground floor. The magnificent Jacobean oak staircase leads from the reception hall up to the first floor, which has four bedrooms (three en-suite, one with separate adjoining bathroom), all of which have vast amounts of character including superb cornicing, and mouldings dating to the 17th century. Another staircase rises to the second floor where there are four further bedrooms, again three en-suite. The lower ground floor is extensively equipped as a private country club with a large bar/reception area and a dance floor area. 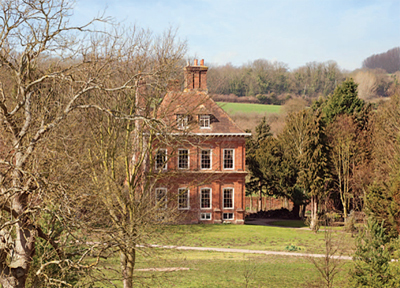 Bridge Place is set in over six acres of gardens and grounds through which the River Nailbourne winds. The riverside aspect gives delightful views over the countryside and a bridge leads to the island where the stable block is located. Bridge is a beautiful village located just three miles from Canterbury, with a good selection of local facilities. The guide price is £2.5m. For further information please contact Strutt & Parker on 01227 473 707 or visit www.struttandparker.com.